Redline Hot Shot & Transportation was established in January 2013. The owner started his career as a driver working for another hot shot trucking company. 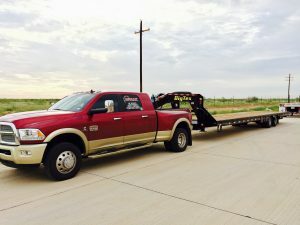 Eventually, he purchased his own truck and trailer to lease out. As he began making connections and nurturing relationships with customers, companies began offering him work to go out on his own. The story speaks for itself. Our founder is reliable and when people saw his talent, they quickly trusted him with their business. 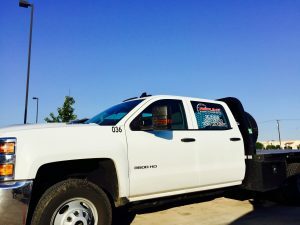 Striving for dependability, the Redline team thrive in the hot shot trucking industry and specialize in transporting oil & gas equipment. Three words that describe Redline Hot Shot & Transportation are fast, cost efficient, and dependable. Deadlines run businesses and Redline strives to provide fast services to ensure you hit your deadlines. Along with quick services, Redline is also dependable. It’s one thing to be fast and another to be fast and dependable. We provide reliable facilities and abide by a diligent process in order to protect your time, equipment, and wallet. Cost efficiency is a dime in a dozen. With competitive pricing and efficient hot shot trucking, Redline prioritizes efficient services with reasonable rates. If you are wanting more bang for your buck, give us a call today. Our hot shot trucking equipment ranges from a simple truck with no trailer to a forklift loader for drill pipe and casing jobs. We take care of our equipment by keeping them clean, getting regular inspections, and ensure the trucks and trailers are always in top shape. To learn more about Redline Hot Shot & Transportation, Inc., contact us today. We would love to give you more information on our company, process, and hot shot trucking services.